As a nationally acclaimed fashion-forward interior designer Corey Damen Jenkins has made great strides in the industry. His twist on traditional interiors includes vibrantly colored layered patterns to create architecturally inspired spaces that are elegant, imaginative and timeless. Jenkins’ hometown of Birmingham, Michigan is where his original studio is located. In 2018 Corey Damen Jenkins & Associates expanded by branching out with the opening of a second office in New York City’s Flatiron District. Jenkins’ client projects have taken him throughout the United States in Michigan, New York, Connecticut, New Jersey, Texas and Nevada, and Internationally in Toronto, Canada. Honored with the Traditional Home’s “New Trad” Rising Star Design Award. His brand has expanded to introduce product design with Leathercraft elegant home furnishings and a lighting collection with Hudson Valley Lighting. Which is the first designer collaboration in the brand’s history. A trailblazing black architect who wanted to be considered as an individual rather than a member of a race. As a master of many styles he helped shape the architectural history of Los Angeles. Designing thousands of buildings in his five decade career, including the The Beverly Hills Hotel and many homes to the stars. Paul Revere Williams was born in Los Angeles on February 4th, 1894. Despite losing both of his parents by the age of four to tuberculosis and being the only black child in his elementary school. Williams was fortunate to have been placed in the home of a foster mother who dedicated her life to his education and the nurturing of his artistic talents. Paul Revere Williams was advised against pursuing a career in architecture while in high school being told that white clients would not want a black architect and that there were not enough black clients who could afford one either. As the first black architect to graduate from USC in 1914. Williams persevered and went on to prove his legacy by being awarded the AIA's 2017 Gold Medal, the highest annual honor recognizing individuals whose work has had a lasting influence on architecture. Internationally celebrated for his extraordinary creations as an event designer, Preston Bailey has established himself with a large number of A-list clients. 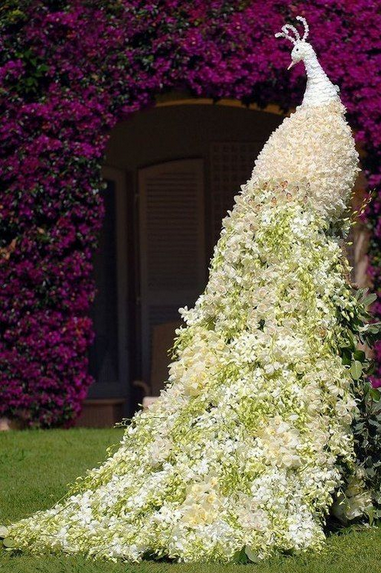 Named by Vogue Magazine as one of the best wedding designers in the world. Baileys’ passion for creating designs beyond imagination has brought his wonderful creations into the public spotlight with a number of art installations showcased in New York, Las Vegas, Hong Kong, Jakarta, Taiwan and London. It’s easy to say that Preston Bailey’s fabulous fete creations are an inspiration that seem limitless and beyond imagination. While things may seem to have come easily for Preston Bailey he has had quite a journey in his success. Born in Panama in the late 1940’s, Bailey grew up with little money or access to higher education. He left Panama at the age of 19 to go to New York City in hopes of becoming an accountant. Bailey being tall and quite handsome began to get jobs as a fashion model. His work in fashion led him to making a next career move creating and delivering weekly flower arrangements for his interior design friends, Vicente Wolf and Bob Patinos’ New York client list. Having learned how to manage and develop a global business over the years by making plenty of mistakes, Preston Bailey has now widely become an authority in his field of aesthetics and style. We hope you have enjoyed learning more about these amazing designers and are inspired by how their tenacity, hard work and greatness has shined through touching lives around the world.